Keep your customers committed to your company by automating loyalty membership management. Catapult’s reliable and revolutionary marketing and loyalty platform requires no additional third-parties to offer a full-spectrum solution. From one commerce platform, a retailer can increase the size and lifetime value of their customer base, calibrate marketing campaigns, manage self-hosted gift card programs, and access membership data. Keep your customers coming back and grow your fan base. Shoppers are more likely to build brand loyalty when incentivized through loyalty promotions. With LoyaltyBot, retailers can automatically provide customers with rewards based on configurable criteria. BuzzBot®, an innovative feature within LoyaltyBot, can be used to reward shoppers when they share a store’s events, newsletters, or promotions through their social media networks. LoyaltyBot provides extensive reporting on web and email analytics, loyalty tracking, and campaign performance. 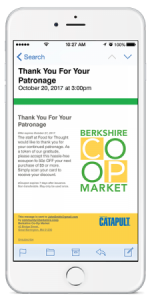 Catapult’S Customer Interface Display (CID) helps retailers promote store initiatives and influence purchases in the checkout lane. LoyaltyBot is software, offered as a service. The use LoyaltyBot is charged at a low monthly rate and requires only a 30-day written notice to cancel. All data acquired through the program is owned and accessible by the retailer. LoyaltyBot offers multiple email templates for professional branding when designing an ad campaign. Customers can receive user-specific rewards based on birthdays, holidays, customer enrollment anniversaries, frequency of shopping, purchasing ranges, and program enrollment. Loyalty rewards can be configured to automatically provide incentives for customers to return based on the last time they shopped with the retailer. For example, all customers who have not shopped with the retailer in the last 35 days. Using LoyaltyBot’s Basket Lift™ function, automatically incentivize customers to increase their weekly spend and/or encourage them to shop in departments they are currently ignoring. ECRS offers a completely self-hosted, easy-to-use gift card system that eliminates the need for reliance on additional third parties. ECRS gift cards are based on barcode numbering sequences and can be ordered from ECRS, purchased from a third-party printing service, or printed in-house. 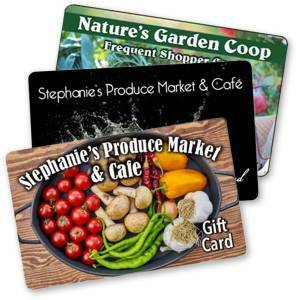 Gift cards are listed as a tender option at the POS and at self-checkout terminals. Cards are reusable, gift amounts can be added at the POS by authorized personnel. Catapult also integrates with all major third-party gift card systems; please inquire for availability and functionality. Through LoyaltyBot, retailers can create custom configured digital coupons using criteria that they choose. No physical coupon or phone scan is required, coupons are applied at the POS via customer association. E-Coupons cannot be counterfeited or duplicated. Retailers can restrict coupons by day, time, item or frequency of use. All E-Coupons are tracked in a customer’s loyalty account. Previously used or current coupons can be viewed by the customer and/or cashier. Warehouse clubs and cooperatives that rely on membership data can track vital information in real time right from the point of sale with Catapult Membership Server. 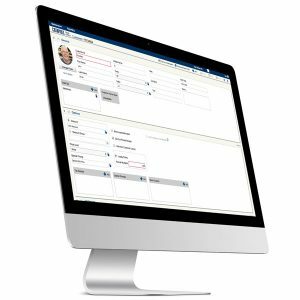 Control over membership programs is streamlined, an integrated interface allows cashiers to access all functions related to member accounts. Cashiers can register new members on-the-fly at the POS. Adjust pricing by member to meet all membership obligations. Cashiers with the proper security allowances can see customer profiles, apply discounts, process refunds, charge member fees, and edit price levels without ever leaving the POS. Prevents membership rewards from applying to a purchase if dues have not yet been paid.